The National Museum of History of Moldova opened the photo-documentary exhibition of the Museum of Genocide Victims from the Genocide and Resistance Research Center of Lithuania entitled „War after the War. 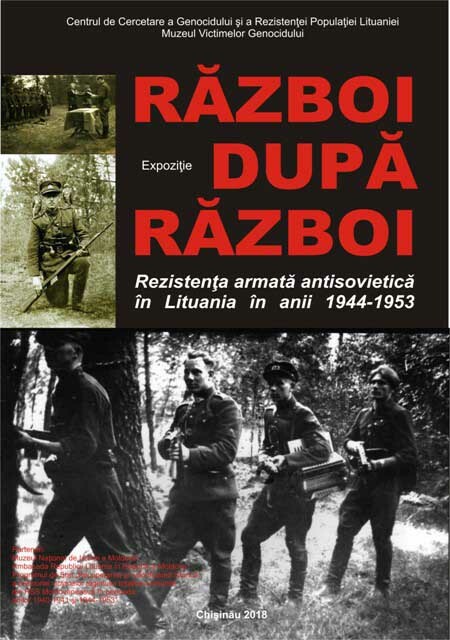 Anti-Soviet Armed Resistance in Lithuania in 1944-1953". The openikng event took place on Friday, October 19, 2018, at 16.00. 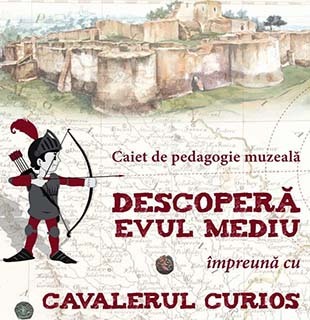 The event is organized by the National Museum of History of Moldova in cooperation with the Embassy of the Republic of Lithuania in the Republic of Moldova under the State Program „Recovery and historical valorization of the memory of the victims of the totalitarian-communist regime in the Moldavian SSR during the years 1940-1941 and 1944-1953 ". At the opening ceremony, moderated by Dr. Elena Postică, Deputy Director of the National Museum of History of Moldova, took the floor: E.S. Kestutis Kudzmanas, Ambassador of the Republic of Lithuania to the Republic of Moldova; Terese Birute Burauskaite, Director of the Genocide and Resistance Research Center in Lithuania; Eugenius Peikstenis, director of the Museum of Genocide Victims and Lithuanian Population Resistance in Vilnius; Prof. univ Anatol Patrencu, Director of the State Program „Recovery and Historical Valorisation of the Memory of the Victims of the Totalitarian-Communist Regime in the Moldavian SSR". In 1944-1945, Europe, together with the whole world, was intoxicated with the idea that finally the German Nazism was defeated and the war, which had claimed millions of lives, destroyed entire cities, came to an end. In Lithuania, as in other Baltic states, which lost their independence in 1940 and had already experienced what the "Soviet paradise" was like a different mood prevailed. It was then that a national war broke out in Lithuania, which was aimed at the re-establishment of the state. Thousands of men gathered in the forests in the hope that they should not staying there for too long - till the decisions of the Peace Conference implementing the principle of self-determination of the nations were made. Unfortunately, their expectations did not come true, and for nine years, from 1944 to 1953, Lithuania fought its war quite alone. In 1945, there could be up to 30,000 partisans in Lithuanian forests led by the former officers, students and teachers. Large partisan detachments numbering even up to 200 men were being formed, battles with the Soviet army resembled armed conflicts between regular armies. During the first two years of the armed resistance, in 1944-1945, about 10,000 partisans were killed and the total number of the dead amounted to over 20,000. All in all, over 50,000 people were engaged in the guerrilla war, about 140,000 persons were imprisoned and 118,000 people were deported. At the beginning there was certain spontaneity, however, little by little, with great difficulties, the structure based on the military territorial principle was formed. By 1948, three regions, each containing districts with its military formations (corps, platoon, squad) were formed all over Lithuania. Structural sub-units had staffs subordinate to them, which were headed by officers (with the exception of certain districts) at least till 1948. Partisans drew up military standard documents whereby they sought to maintain discipline, avoid self-wilfulness and unnecessary bloodshed as much as possible. Military uniforms and appropriate recognition badges also served as a disciplinary measure. In February 1949, after five years of striving for that, the highest authority of partisans - the Presidium of the Council of the Movement of the Struggle for Freedom of Lithuania (LLKS) was founded. Unlike the former attempts, all partisan leaders within the territory of Lithuania who participated in the constituent assembly became subordinate to it. The political Declaration by the Council of the Movement of the Struggle for Freedom of Lithuania, the document which currently constitutes a legal act of the Lithuanian legal system, united Lithuania of 1918 and Lithuania of 1990. Aspirations for freedom, independence and democracy constituted the main values, which Lithuania inherited from the generation whose motto was as follows: "Give your Fatherland all that you are obliged to..."